An attractive and soothing roof protection option for your Placerville home is the rain chain. This simple device replaces one of the downspouts on your roof’s gutters and allows water to fall to a catch basin or rain barrel. 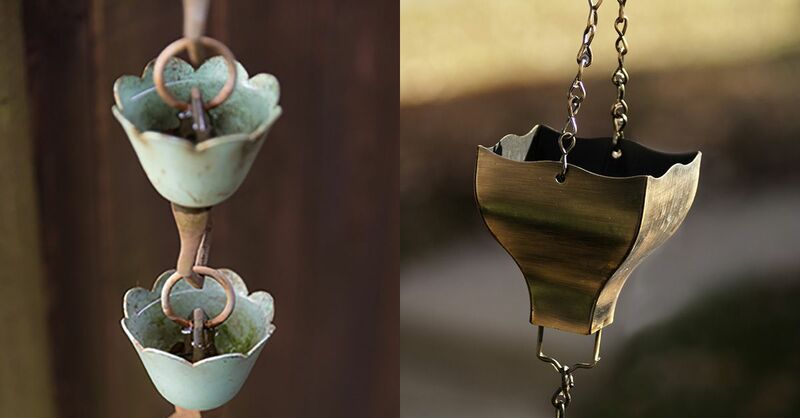 By selecting from a variety of materials, you can make your rain chain musical, visual, or a sculptural combination of delightful features for your home’s gutters. A rain chain is best hung where you are likely to be outside to enjoy its benefits, such as a back gutter by a patio or deck. The calming sounds of the water falling can set a tranquil mood year-round. The Japanese, who prize perfection in home settings and decoration, have elevated their use to an art form. Remember not to trade structural soundness for the sounds of serenity. Some rain chains are actually heavier than the gutter downspout it replaces. 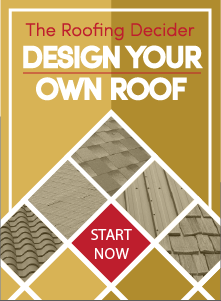 Whenever you consider altering your home’s roof system and gutters, consult a reputable roofer such as Straight Line Roofing for guidance. The rain chain must empty into a catch basin or rain barrel so runoff cannot seep back toward your Placerville home’s foundation, weakening it over time. If you opt for a catch basin, consider providing for spillover drainage leading away from the basin so that water does not stagnate. 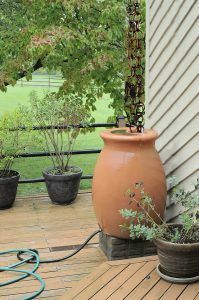 A rain barrel with a specially modified lid to match the diameter of the rain chain will give you the musical tranquility of the rain chain and the garden-soaking benefits of the captured rainwater without allowing insects to breed in the standing water. For any questions you may have about gutter systems or if you need gutters installed on your Placerville home, contact Straight Line Roofing.